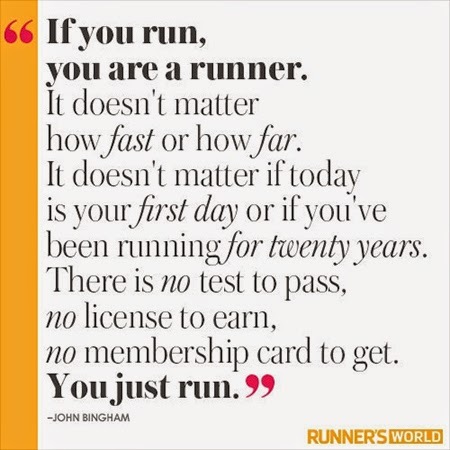 I was poking around some fitness sites lately and came across a heap of motivational images for runners over at Runner's World. I'd only read a few before I realized, "Whoa--this is exactly what it's like when I run and when I write." I've only been running for a couple of years, but now that the light switch has been flipped in my mind, all I can see when I run now are the parallels to writing. This isn't a bad thing at all. Honestly, it may be quite the opposite. I think both my writing and running have benefited since I made this discovery. How are two activities that seem completely different actually very similar? Have a look at some of these motivational images for yourself! 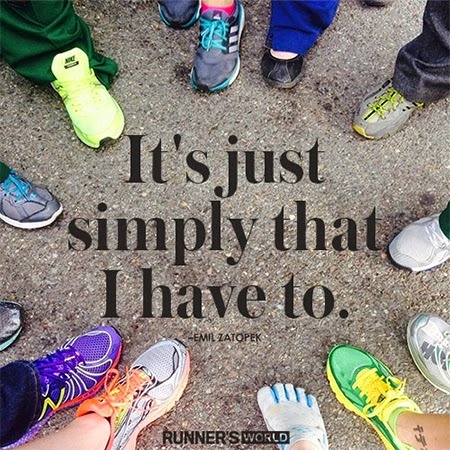 Every time you read the word "running," simply replace it in your mind with "writing". Finish line = end of a project. 1. 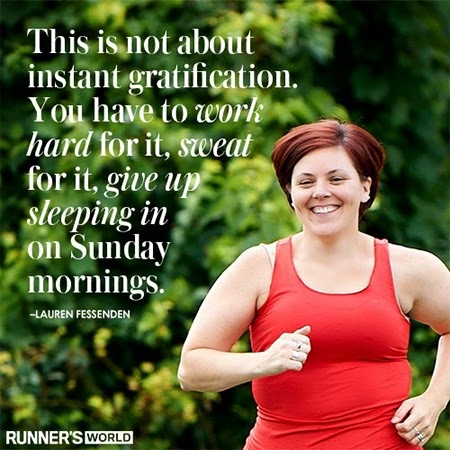 You have to make time for it and make an effort if you really want to reach your goals. 2. 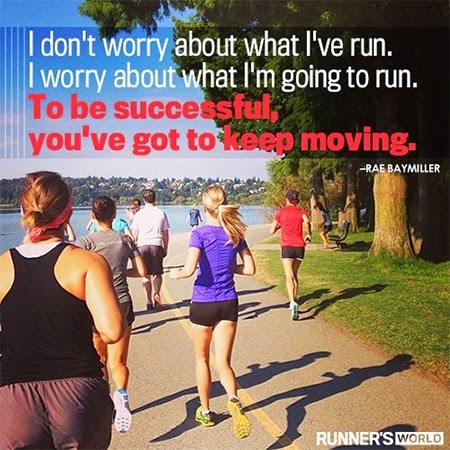 You go farther if you focus on improving and don't dwell on past failures or successes. 3. You feel an overwhelming internal force driving you to keep at it. 4. You know the feeling of reaching a goal or completing a project you've worked hard on is an emotionally powerful one. 5. You understand that there is no need to fret over labels. If you write, then you are a writer. JUST KEEP WRITING.